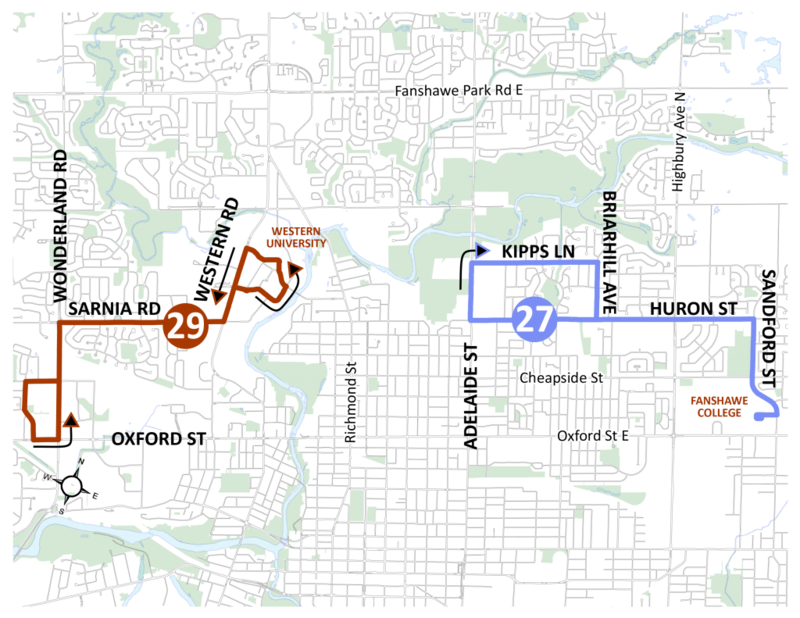 Interlining Routes 27 and 29 combines two closely aligned areas of ridership to create direct connections between several high ridership nodes. Notable new direct service includes between Fanshawe College and Western University, and between Kipps Lane/Huron & Highbury and Wonderland & Oxford. The new interline will also reduce service duplication between Routes 27 and 32, provide more direct service, better align ridership to demand and reduce total passenger time travel. Frequency will increase significantly on highly productive sections such as Kipps Ln and decrease in lower ridership areas such as Fuller St. and Huron St. between Barker St. and Adelaide St.
Route 10 between Western University and Oxford at Wonderland as well as Route 27 are regularly experiencing overcrowding concerns in the spring/summer period. The Route 27-29 interline will introduce spring/summer service on Route 29 and increase frequency on Route 27 that will help alleviate these issues. 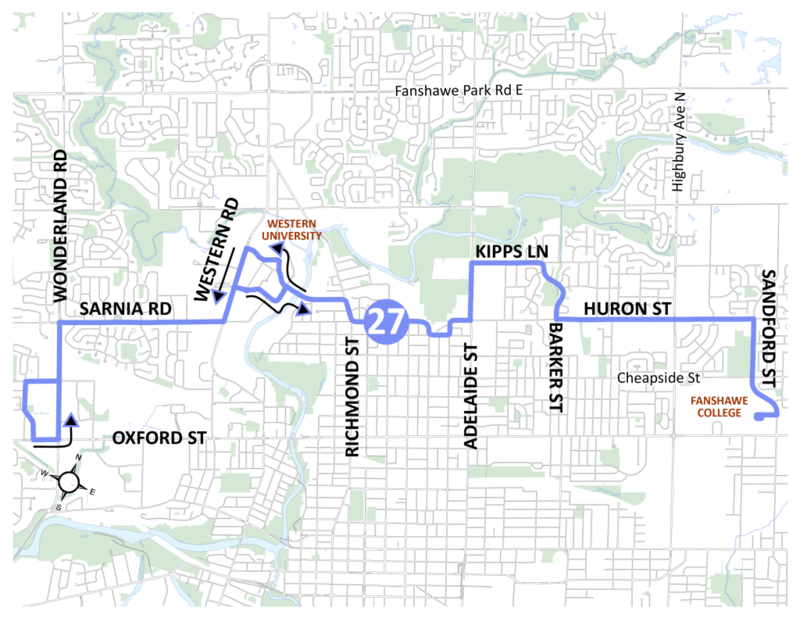 Route 32 will be eliminated.